For info about the slobots and interviews with Mike Slobot, click <here> to go to the about page. Thanks for visiting and shopping with slobots.com. Below are some frequently asked questions about shopping with us. Slobots.com accepts credit cards through Paypal. Your credit card information is not stored on our server. Instead, it is stored in your account on Paypal’s secure servers. Please visit www.paypal.com for more information about their policies. *NOTE: Items will not ship until payment has cleared. We ship to Paypal confirmed addresses only. Will you put an item on hold for me? Yes. If you see an item you would like to put on hold, please email us and we will put the merchandise on hold for 48hrs. Slobots.com appreciates our customers and we strive to offer the highest quality merchandise and service. All Items are described in detail and we will be happy to answer any questions you may have. Please contact us prior to your purchase if you have any questions. Also, check the color, size, and quantity of each item in your cart before you checkout to verify your order is as you wanted it. If you are not delighted with your purchase, simply email slobots.com within 3 days for a return authorization number before returning your order. *NOTE: All custom items are final sale, no returns. Please be sure of your items details before finalizing your purchase. NOTE: Any items returned to slobots.com MUST be returned in the original packaging and shipping materials they were received in. You may return the merchandise in its original condition, within 3 business days of delivery for a refund less shipping. After 3 days orders will be eligible for a store credit or exchange up until 2 weeks after delivery date. We will provide you with a web credit, less shipping costs for the properly returned item. The refund or credit will be issued once we receive the merchandise and it is found in it’s original condition. If we receive your merchandise back and it has obviously been damaged in any way or returned improperly packaged, you will not receive a refund or store credit. You must then pay for shipping if you would like the merchandise returned to you. *Refunds, credits or exchanges may take up to one week to be processed. What items are without exception, not returnable? *All special order and sale items are final. No exceptions. *Items that have been damaged are no longer new and are not eligible for return or exchange. *All items handmade by artists. Email Slobots.com within 3 days for a return authorization number before returning your order. We will email you with a confirmation and directions for shipment. Please remember to include the order number and the last name on the order. Prints ship unframed. Generally, they are ready to be framed in standard US size picture frames. Print will be signed and dated by Mike Slobot on the reverse side. Orders are shipped in 2 to 3 business days and take 3 to 10 days to reach their destination for domestic locations. International shipment times vary. Can I get it any faster? We offer Over Night and 2nd Day Shipping but please email us to make sure we are able to meet your request at that time. Requests for over night are not always possible and you must receive a confirmation email from us to guarantee your request is received. You are responsible for the costs of express shipments, and they will be added to your order total after confirmation. Rush shipping is not available for international addresses. All products are shipped via USPS Regular Mail, UPS Ground or USPS Priority Mail with a delivery confirmation number. In most cases, US shipping is included in the price. ** Note: Some items are larger and require extra or amended shipping charges. These charges will be noted in the item details. We Ship WORLDWIDE via USPS Priority and Global Priority Mail. International shipments, (including Canada) can take 1-3 weeks to arrive, depending on their destination. Rush shipping is NOT available for international addresses. International orders may be subject to import duties and taxes, which are levied once the package reaches your country. Additional charges for customs clearance are the responsibility of the recipient. Customs policies vary widely from country to country so it’s a good idea to contact your local customs office for further information before ordering from our website. 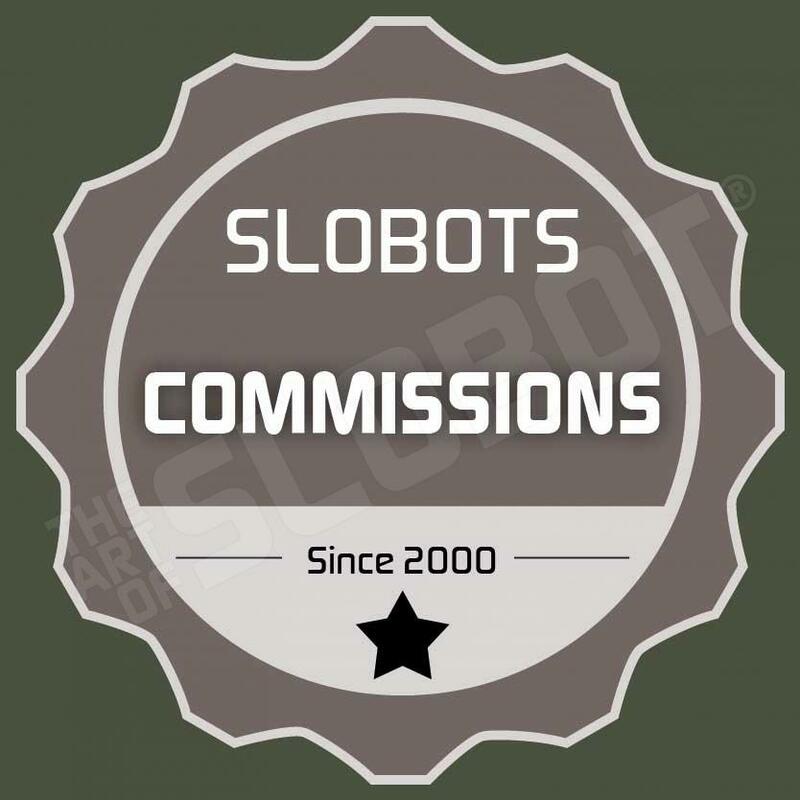 When you order from slobots.com and affiliates, you must comply with all laws and regulations of the country in which you are receiving goods. We are unable to mark packages as “gift”, “sample”, or anything other than “merchandise” on the applicable customs forms and cannot reduce the value of said package to lessen the taxes and duties levied against the recipient. Sorry but no exceptions will be made to this policy. If the value of your merchandise is over $250, we are required to ship your package via Global Express Mail to meet PayPal’s requirements for online tracking. This may result in higher VAT fees or customs charges. Any order can be cancelled prior to shipment. To ensure that we receive your request prior to shipping, we must receive an email containing your request to cancel the order within 45 minutes after the order is placed. We are not responsible for items once they are shipped. We ship to the address that was given with payment, and are not responsible if that address is incorrect. If you have an unstable residence, then we recommend having items sent to an office or another address where you can pick up the package. Items damaged in shipping may be covered by insurance shipping insurance, if purchased. Slobots.com will make every effort to work with the original shipping company for covered items. We as a company have the right to refuse service, cancel an order, or refuse an order, to any customer that is threatening, abusive, or for any reason we deem necessary. We will never sell, trade or give away your name, email, address or personal information to any business or third party. Occasionally your email will be used to send promotional materials such as coupons, special offers and other news from slobots.com or affiliated companies. You can choose not to receive newsletters by sending a return email with “unsubscribe” in the subject box from the email address where you no longer wish to receive the newsletter.